Thread: Starting a garden and need advice! I am fairly new to gardening, having only helped my Mom garden years ago. Last year I grew my own herbs in our enclosed porch and was successful, but did not really consider the potting soil and fertilizer I was using and where it derived from. This year my husband and I have decided to start our own garden in our yard (we do have an apple tree that supplies us fruit but that requires little care from us ). We have dug up a nice plot in our yard and just started a compost bin and collecting grass and leaves outside as well as vegan food scraps from the kitchen. Our soil is decent, nice and dark, but there is the dilemma of what fertilizer and/or compost to use or if we even need any while we build up our own compost pile. I have gone to three different garden centers and talked with numerous gardeners (none vegan though but one vegetarian) and none seem to be able to help with how to keep our garden vegan. I refuse to use animal manure or chemical fertilizers and I certainly won't use the "organic" fertilizer full of blood and fish guts and bones. There are a few vegan friendly fertilizers like kelp meal and rock phosphate at these garden centers but they seem to be for specific problems or types of plants. I have decided that we are just not going to use fertilizer this year and see how it goes as it just seems so complicated with how to get the right balance of nitrogen, phosphorus etc with these vegan fertilizers as none are "all purpose". Has anyone who gardens been successful not using any fertilizer at all? Now the other dilemma of the compost. Our soil is going to need some kind of extra boost, food if you will, to get our plants going. One option for commercial compost while we wait for our own compost pile to build up (which takes several months from our research) is from our city's sanitation facility/complex. They have a program where people can bring their grass clippings, dead leaves, twigs and branches etc and dump them in a certain pile. This pile is then composted into another pile over several years and later sold to the public for a small fee. It is a continuous operation. It is called a green manure. Here is the catch. Several local restaurants contribute to this compost pile by delivering their leftover scraps of food that would otherwise be thrown. Included in these scraps is some dairy and meat scraps. This food is carefully composted/broken down and the compost pile periodically tested for salmonella and other bacterias etc (by law and federal regulation as this is a government owned facility). My issue is, if we were to buy compost from there, even just once while we build up our own vegan compost, would this still be contributing to animal slaughter and agriculture? I really do not like the idea of using that compost (I guess it would be along the same lines as using the organic fish guts) but there just do not seem to be any other commercial composts that are remotely vegan out there (at least locally that wouldnt cost an arm and a leg to ship). I am getting truly frustrated with how complicated this is getting to be. 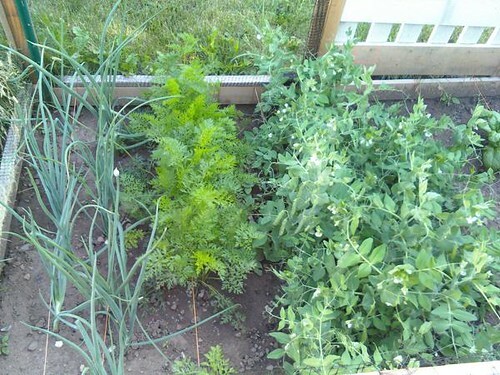 I just want to grow some of my own vegetables and control what goes into the making of them. I havent even gotten around to where we are buying our seeds yet. Sighs. We have a little bit of time as we can't plant until the end of May up here but I want to be ready and do this right. I would love to hear from any other gardeners and how you manage all these issues. Do you use fertilizer and what kind? What about compost? How did you get started? It really amazed me how we were treated at these garden centers. Although most of the workers we talked to were polite and tried to work with our situation, two were particularly rude. The minute I mentioned bieng vegan and my concern with using manure or other animal derived materials, they changed completely from being helpful and engaging to suddenly having other customers they needed to get to and not wanting to talk to us. Ugh. Re: Starting a garden and need advice! My only suggestion would be to perhaps find a horse/farm animal sanctuary around you to get composted manure from? I don't know if you would find that objectionable or not. I own my own horse and am fortunate to have a continuous supply of what I consider ethical manure, though I understand not everyone has that option. Beyond that, have you considered just top-dressing with your own compost this year, after it has broken down enough, and then mmixing more compost in at the end of the growing season? 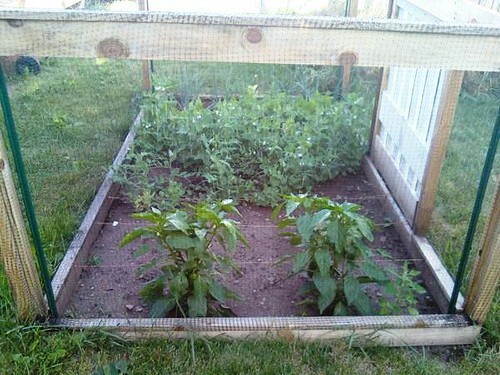 Perhaps even growing some plants that provide nutrients and tilling them under over-winter? I am not comfortable with using animal manure at all, regardless of where the animal came from or how it was treated, unless of course a deer, rabit, or other wild animal simply visited my garden and took a dump there. Those circumstances are beyond my control and I would not be using the animal for my own means, but simply using what nature provided coincidentally. Our compost pile is very new so it will be several months before I can begin to use it but for sure I will use it then! I just need something to get started for now. I guess I should have taken the time over the winter to build up my compost pile but I was clueless about this stuff then. Oh well. Thank you though for taking the time to respond! I think this is a double posted thread as I have the same thread already going on with some responses. Is there a way to delete or combine this thread with the other one? I have no idea how that happened. Sorry for the inconvenience. We used mushroom manure instead of animal manure to get the garden started. Isn't that just normal manure but after it's been used to grow mushrooms? Have you thought about seaweed meal? I used to get seaweed from the beach after we had stormy weather and dig it into the soil but you have to leave it a while before you can plant anything. You can also get green manure crops that you plant and then dig in to the soil. You can also use fresh cut grass or dry hay as mulch, just add it to around the plants, use a lot and add several times. Thanks for the ideas guys! I'm starting to think we might be able to use our compost pile after all. I have not planted anything as of yet since I live in a very northern climate and it isnt recommended to plant until the end of May. We started our compost pile a few weeks ago so it just might be built up enough to use. We have lots of grass clippings and twigs etc, some vegan food scraps, and a little hay mixed in there. I might keep the seaweed meal in mind for future reference if this doesnt work. I'm glad I came across this because I actually created an all natural, organic, vegan friendly soil amendment. After years of searching for an amendment that didn't contain animal bi-products and that was organic I gave up... Then one day I decided to create my own. Now I'm trying to make it available to the masses. Which is where all my Vegan family come in! I entered a contest here https://www.facebook.com/KetelOne/ap...F482%2Fidea%2F If I get enough "likes" I could win $100,000 which would be more than enough to get the company started and start shipping to the masses. I pitched the idea to Whole Foods and they LOVED it! So if you my Vegan family can see it to throw me some likes it would be much appreciated. It's a great product and it's completely animal free! I guess I need a little bit more information about your product before I hit the like button. When I hear "organic" soil red flags go up just because there is a wide range of what is acceptable as organic, and sometimes there is more animal product in organic soils than non. I read the link but the information doesnt seem to be very specific. My garden is doing very well so far. A few weeks ago I planted onion bulbs, carrots, spinach, snap peas from organic seed, and transplanted peppers and tomatoes, and in herb boxes I planted (already started transplants of...) basil, oregano, chocolate mint, and parsley. A lot of shoots are coming up out of the ground now and everything is looking good. My transplants are growing well. Our compost pile is coming along too. One of these days soon I need to take some photos to show the progress. I am so excited to be growing my own food! Of course there is no guarantee the seeds I bought were cultivated in a nonvegan way, same with the transplants, but at least my own soil is vegan. I'm hoping to save on the money I spend on produce this summer! Have you considered trees? Date trees for example can provide massive amounts of fruit even while kept at very reasonable sizes, think 100lb+ per year, it probably does depend if your current home is permanent as well as the climate though I guess. OK well here is the basic rundown of what it is and does... The quick version- Basically by adding the amendment to your soil you are adding life to the soil. The longer you use it the more vibrant the soil becomes. It doesn't contain any chemicals or animal products. OK the long version- Hippie Soil is a soil amendment company that bases its products around sustainability, recycling, organics, and vegetarian/vegan lifestyles. Because we use an all natural mixture, it is completely safe for pets and children. The blend that we use helps promote an all around symbiotic relationship from the organisms in the soil to the plant receiving the amendment. By adding Hippie Soil you are supplying proteins, minerals, and mycorrhizae (a beneficial fungus that assists in the absorption of minerals and water from the soil and defends the roots from other fungi and nematodes). Once the amendment is introduced it quickly begins to break down, allowing the mycorrhizae to assist the plant in nutrient uptake. It also provides nutrients for the microorganisms in the soil which will continue to create a rich food for the growing plant. The results can often be seen as quickly as one week to two weeks and include everything from greater root/leaf growth, increasingly vibrant color, as well as better water retention. Last edited by HS; Sep 6th, 2012 at 10:59 PM. Thanks for sharing more information HS! I hope you can get your company off the ground. I went ahead and liked your Facebook page. I hope it isn't too late. It has been raining here since Monday. All day yesterday and right now it has been raining hard and we had a thunderstorm that is STILL going on that started in the evening yesterday. We are worried about our garden. I hope it holds up to all the wind and rain! I guess I should clarify... I guess there has been some confusion on the "likes". After you click the link you have to scroll down where it says total likes on the right side. Currently it's at 83 once you click like there you should see the like counter go up. THANKS sooooooo much for your support. This is why I love Vegans! Thanks for the clarification. I will do that then. Update: I live in Duluth and we just had the worst flood in our history and over 10 inches of rain fell this last 24 hours. The St. Louis River has reached an all time high of 16 feet. Some neighborhoods have been evacuated and the roads are terrible, full of man holes and wash outs. Whole businesses are under water. Thankfully my house is ok, but the street outside is a mess, and I am not sure if my garden will survive the onslaught of water. We had a thunderstorm and lightening that lasted over twelve hours. The storm system just sat on top of us and that is why we got so much rain. It was on the national news tonight. The little creek that runs near our house is now a raging torrent that has overtaken some vehicles. I can not believe this is happening! We live in an extremely hilly city but I guess even hilly cities arent safe from floods. This is the second time in my life now I have just missed getting flooded out. I lived in the Red River valley in 1997 when the big flood hit Grand Forks North Dakota, just a few miles away. THAT was a disaster. Tragically the zoo just down the road lost over ten of its occupants that drowned due to being trapped in cages when the zoo was flooded (it is 3/4 under water now). Just another reason zoos should not exist. What a terrible way to die. My husband was talking about those poor zoo animals and how awful that was and what they must have felt in their last moments, all while frying bacon on the stove. I reminded him that his "bacon" probably felt the same way. He didn't say a word after that. I just hope my garden survives. How did your garden hold up? It survived! Yeah!!! I had tried to post some photos of my garden and flooded areas nearby but for some reason it didnt take and I ran out of time to try again. I will try to post some garden pics soon, or maybe wait til it grows some more and then post before/after shots. The onions are growing very fast as are the carrots and beans. I am having no luck with the spinach at all, only a few peeps coming up, and the tomatoes and peppers are steadily but slowly growing. As far as my herbs, my chocolate mint is really doing well, and parsley too, but the oregano is starting to die off. I think it needs more sunlight. Basil is growing but slowly. So I am having some success so far with my vegan garden! Here are some photos of my first all vegan garden. I am having great success with this. The only exception is the spinach. Only one plant of spinach grew from all the seeds I planted. Everything else is proliferating greatly! This is when we first planted the garden and the seeds just sprouted. And here it is now. My husband and I planted carrots, beans, onions, bell peppers, spinach, and in another area of the yard we planted tomatoes. 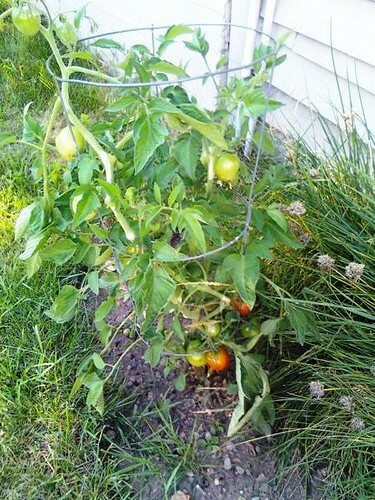 One of our two tomato plants. In the background is chives, which have grown there naturally for many years. 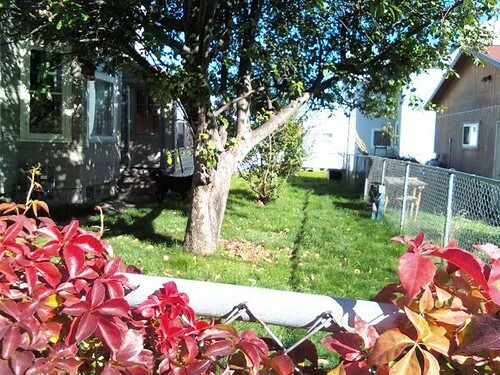 This is our little yard (photo taken a few years ago) to give you an idea of our space. The garden is in the back of the yard, at the far end of this photo where it gets full sunlight. The tree is an apple tree and we get lots of apples in the fall, up to eleven bags. We give them to homeless shelters, church, friends and family, and neighbors and still have enough left for several months. Last week we had our first pepper and tomato from our garden and both were delicious. Even organic produce at the store does not come close to comparing! We have an herb garden in our porch in wooden boxes too with basil, oregano, mint, and parsley. Growing our own food has been an awesome experience and I cant wait to start harvesting all that food! One of my green peppers... Sorry the photo is so large. This is a cross section of the roots of one of my plants. I wanted to show exactly how well my soil amendment helps the plant. As you can see the roots are very white and large which is a sign of a healthy plant. I am enjoying a bounty of readily fresh vegetables from my garden. I have so many peppers I need to learn how to preserve them over the winter! I also learned that the next time I plant carrots I should plant them farther apart. Although my garden has done well, the soil is just slightly harder than it could be so I may consider adding something more next year. Our vegan compost is holding up so far but winter is coming so I have some research to do to prepare everything. Wow, you must have green fingers Robinwomb to do so well at your first attempt! HS too. I had plenty of help from my husband . I am the person who usually has trouble keeping a houseplant going, but he has three houseplants that are fifteen years old and going strong in the same pots all that time. We have had to trim them back many times. I do the weeding and harvesting of our garden but my husband has been vigilent about watering the plants daily. 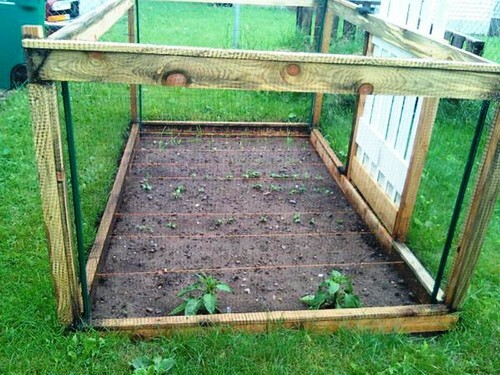 It is good that you are going to start a garden with your husband. It's my pleasure that I am giving you some tips and suggestion for your new garden. First you deiced what you want to planted, then know about the soil which is the most important part. Climate or weather also important for this. Choose your area of gardening, text the soil composition. Use right fertilizer at right time in right quantity. Avoid chemical fertilizer and pesticides as these are toxic for our health as well as environment. Try to use compost and do it your self in your home. It is quite easy but time taking. Watering plants properly and take care. Try to collect more information from experts or different sources, it must be effective. 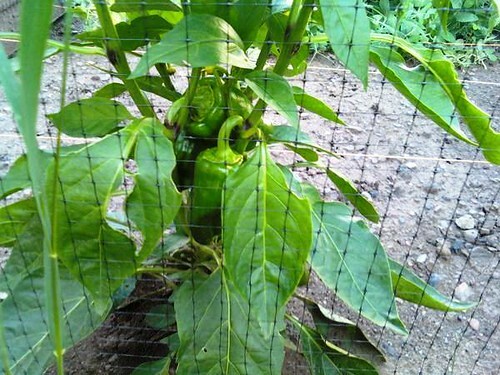 For more details or help you can visit this- Garden care tips. I think It will definitely helpful for you. Best of luck my friend. Any advice for a fresh young vegan in South Island, starting with Nelson? !